It opens a “Convert Lead” web page, which gives us options to create Contact/Account/Opportunity. 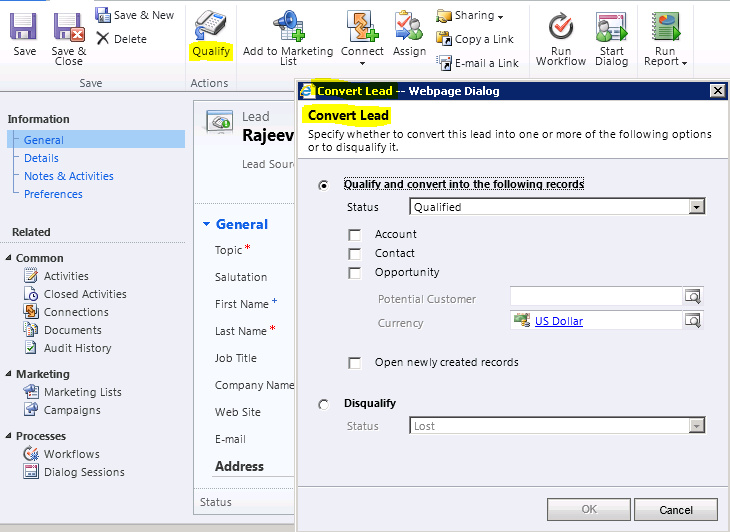 With new design, the “Convert Lead” dialog box no longer appears during lead qualification. We have 2 ribbon buttons (Qualify and Disqualify). If you click disqualify you are able to select the status reason, otherwise if you click qualify the lead will just automatically be qualified.